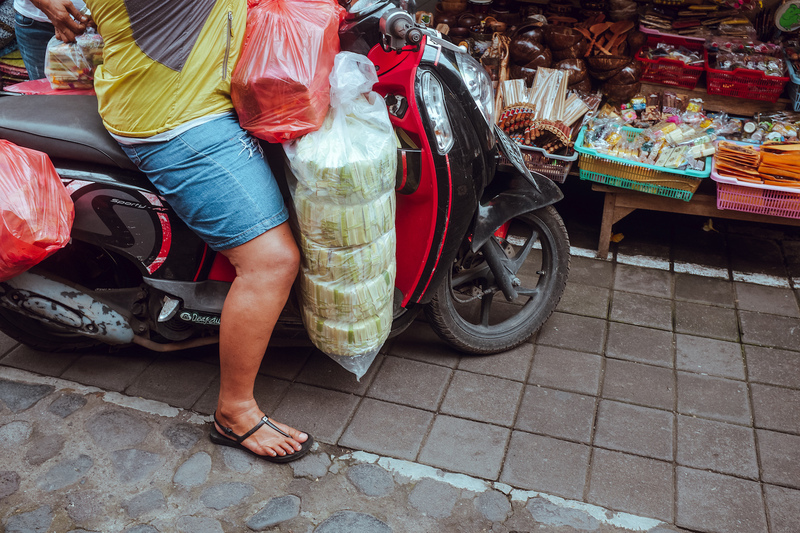 Canang is everywhere in Bali. Yes. Even cigarettes make a respectable offering. 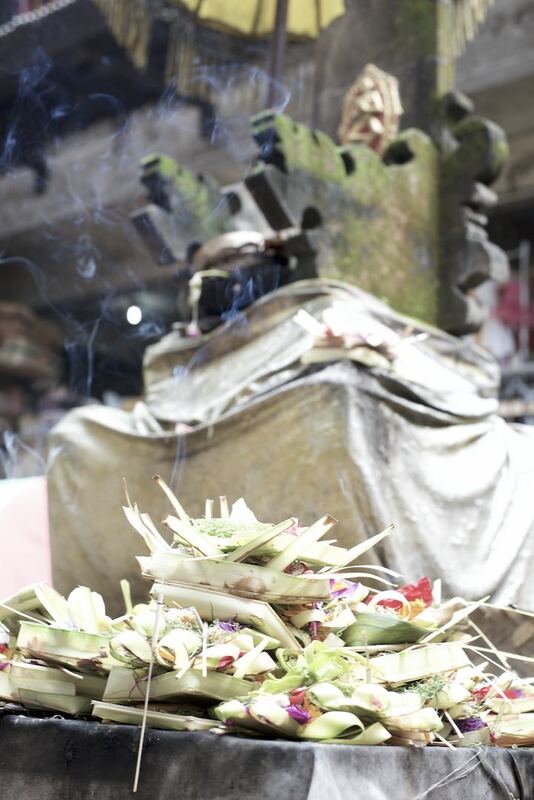 Dupa (incense) carries the sari (essence) of the banten (offering) to God, ancestors, and nature–Pasar Ubud, Bali. 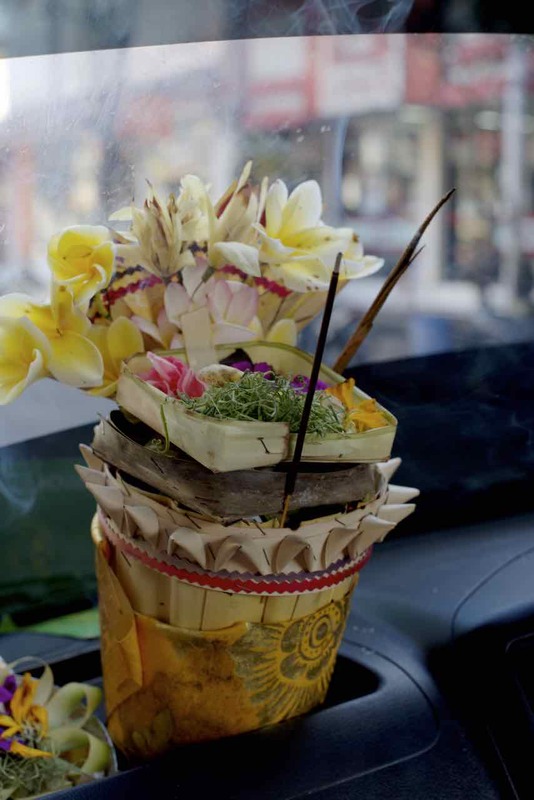 What are these little baskets of flowers and incense that seem to be everywhere? 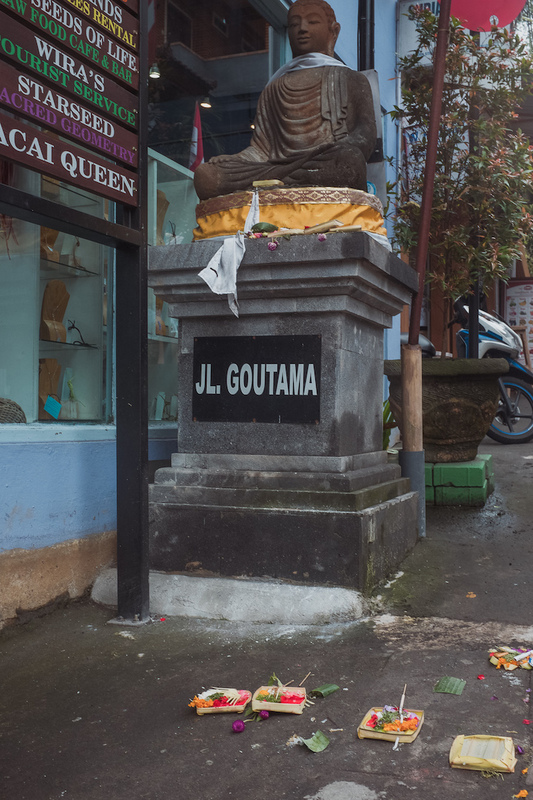 We almost trip over them when walking the streets of Ubud. 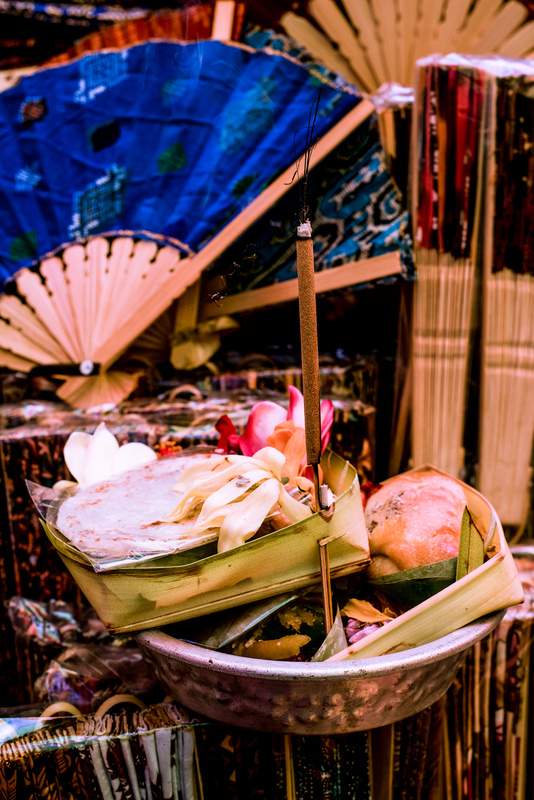 These baskets are called canang and the offerings (flowers, mints, candy, incense, and sometimes cigarettes) are called the sari or essence. 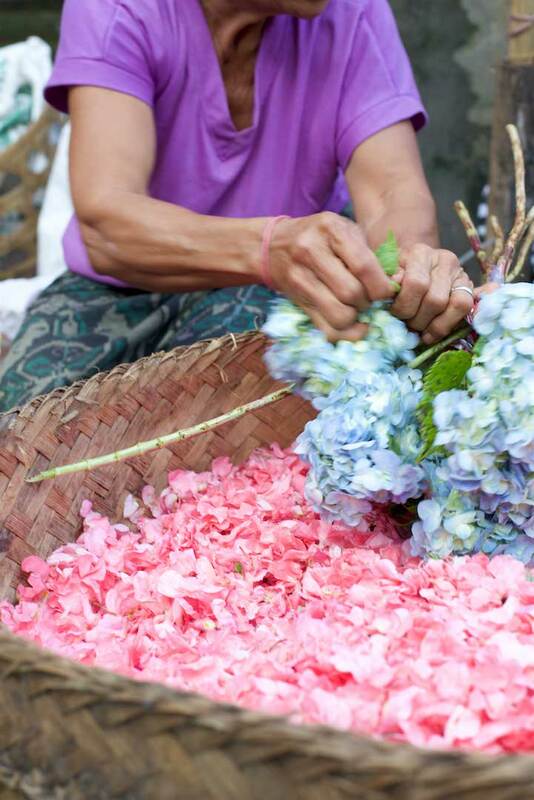 Canang sari is a form of banten or offering that is woven deep in the fabric of Balinese culture. 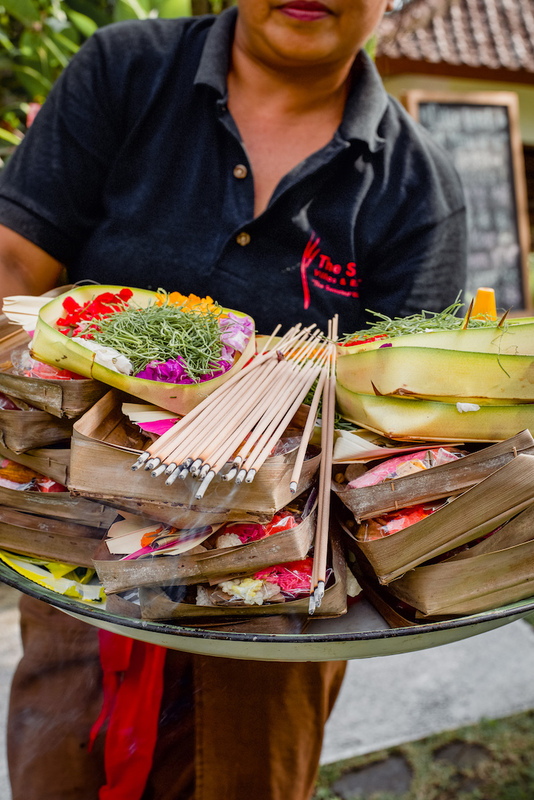 Each colour in the canang is tied to a specific Balinese Hindu deity. 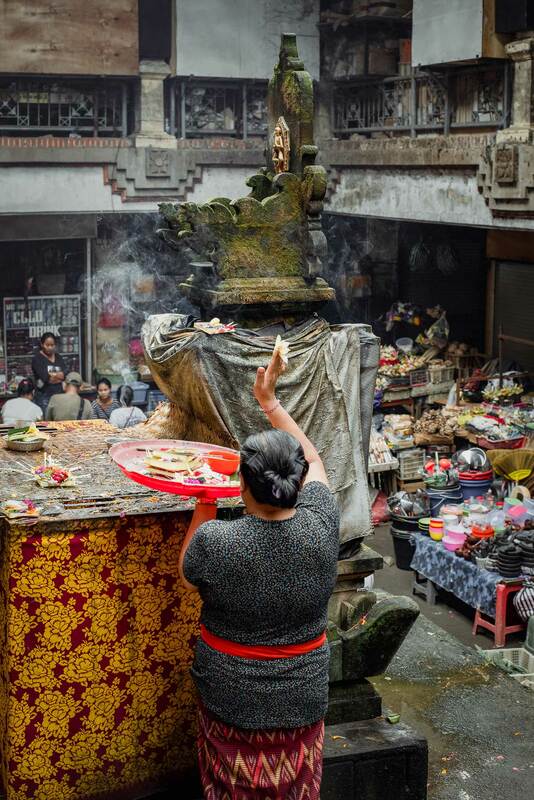 The burning incense carries the spirit of the offering to the heavens. 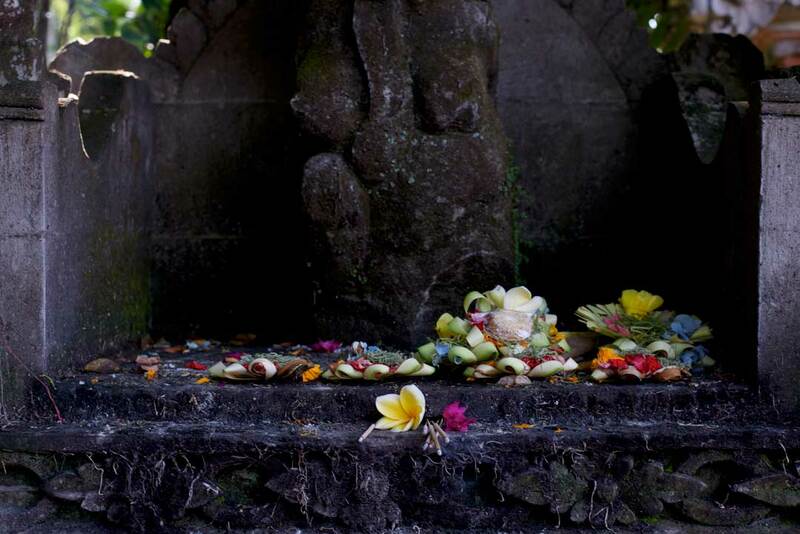 I’ll go out-on-a-limb to say that if you understand canang sari, then you understand Bali. 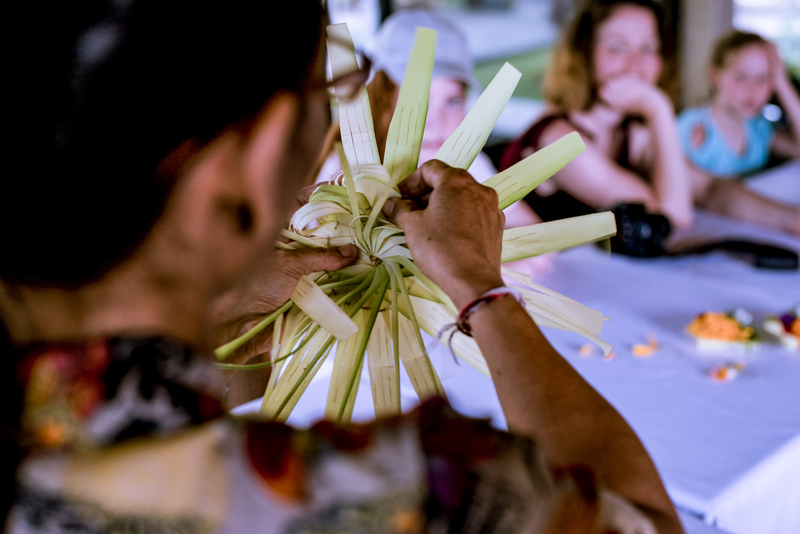 Canang sari classes are often given freely by hotels or in the villages. 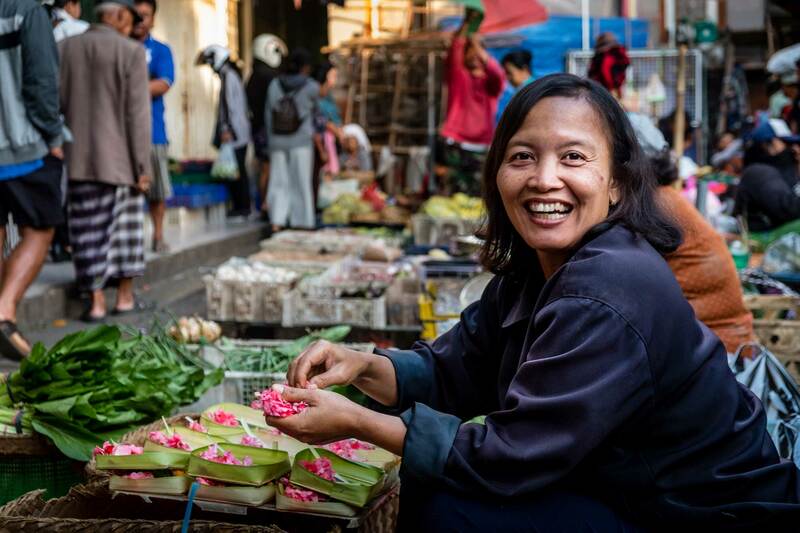 Canang explained by Bali Silent Retreat’s cultural advisor. 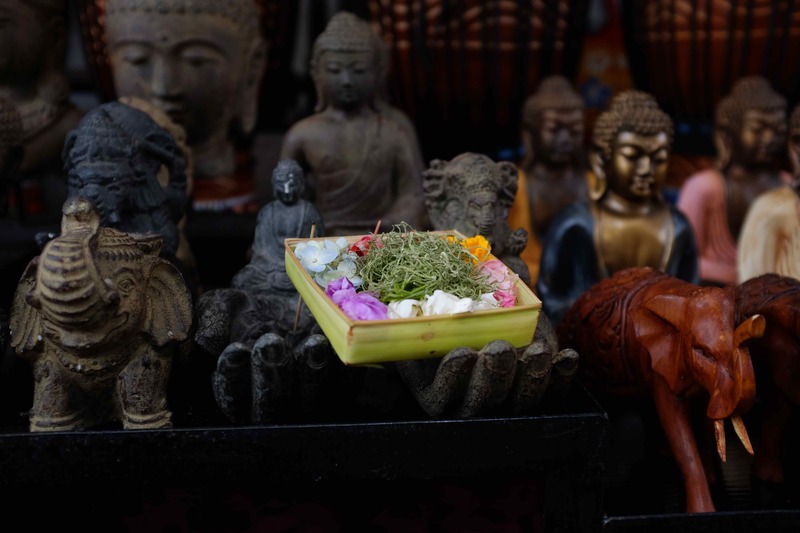 Get the scoop from a Balinese priest in the Bali Daily by the Jakarta Post. The prefab canang phenomena – prefab sprout photo essay on marklchaves.com. 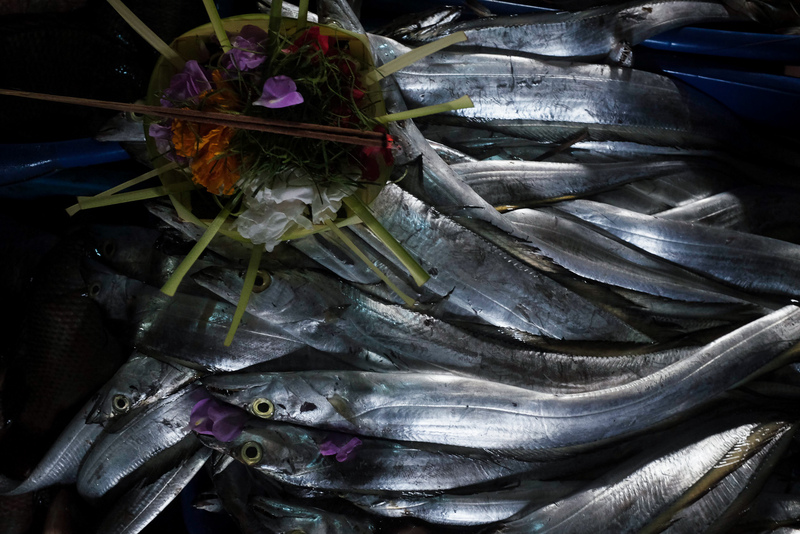 Feature photo taken by Wiwit Ristu. 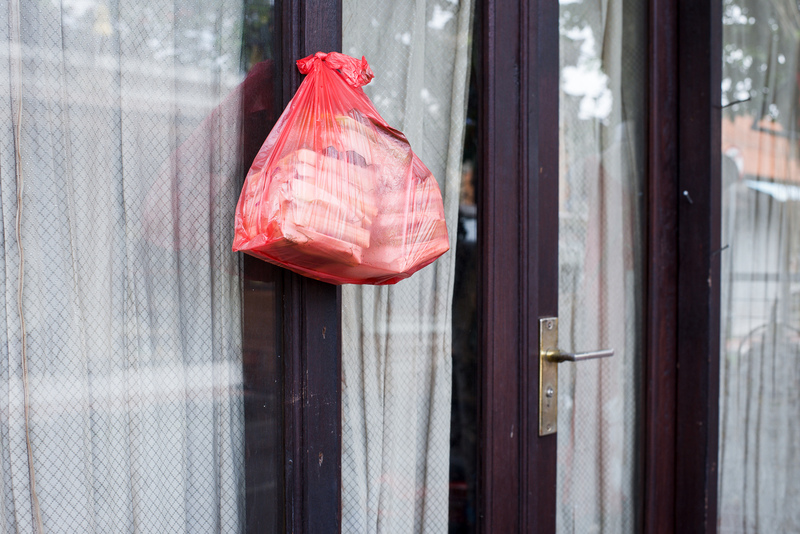 View the full canang gallery below. 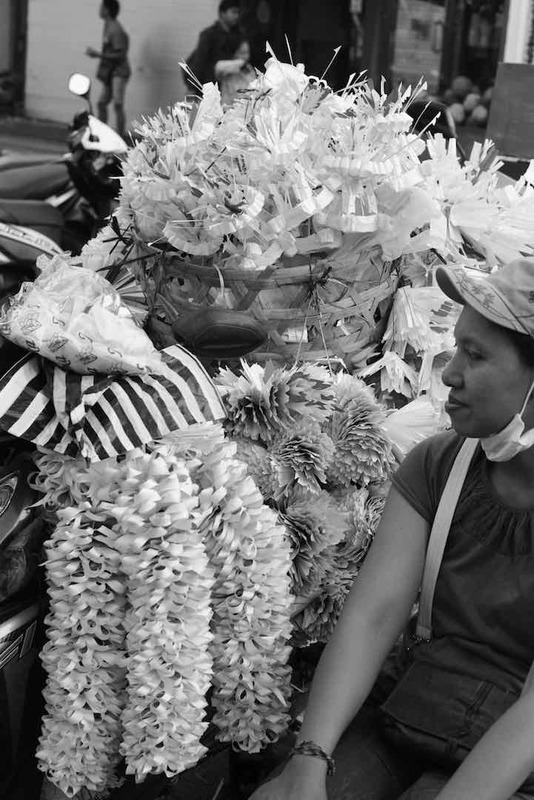 Move over fuzzy dice and hula girls–in Bali, canang is in the driver’s seat. 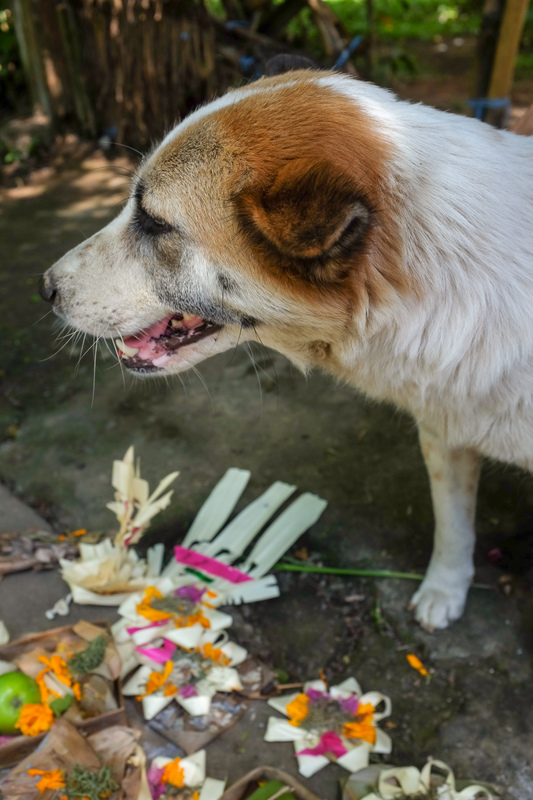 Bali Street Dog on Galungan Day May 2018. 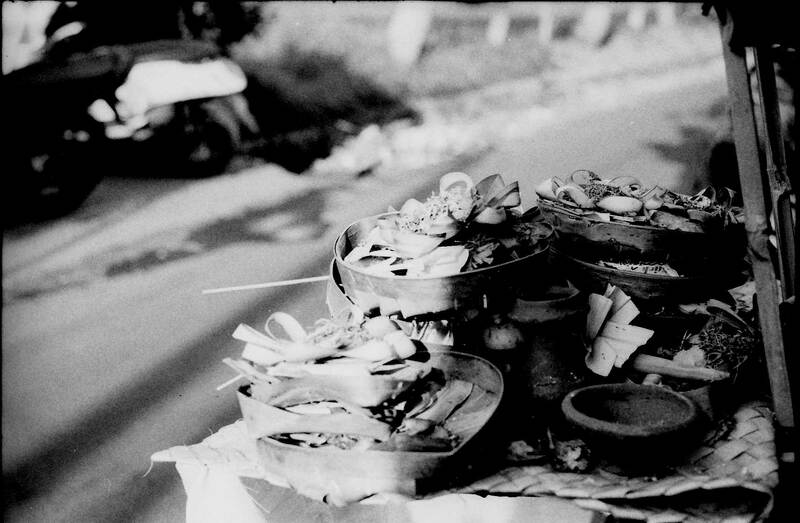 Canang – Daily Offerings on 35mm film. 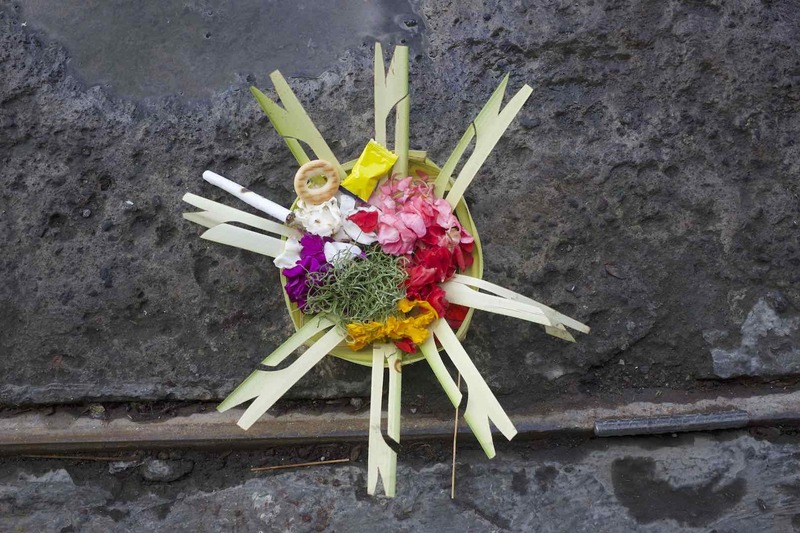 Pre fab banten for offerings on the streets of Ubud. 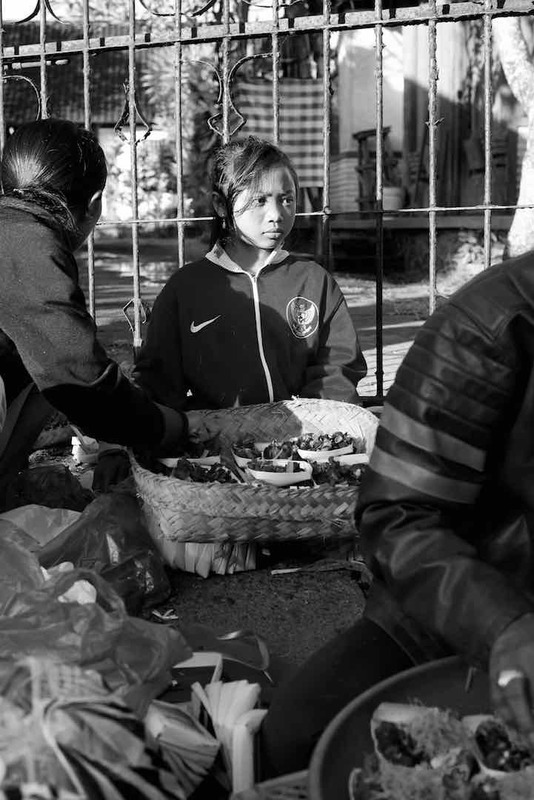 Pre-made canang for sale at Pasar Ubud. 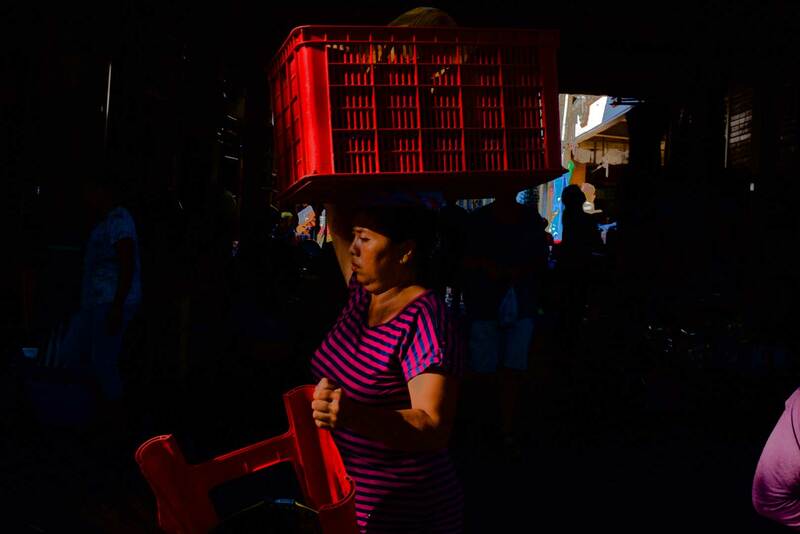 The story is in the eyes. 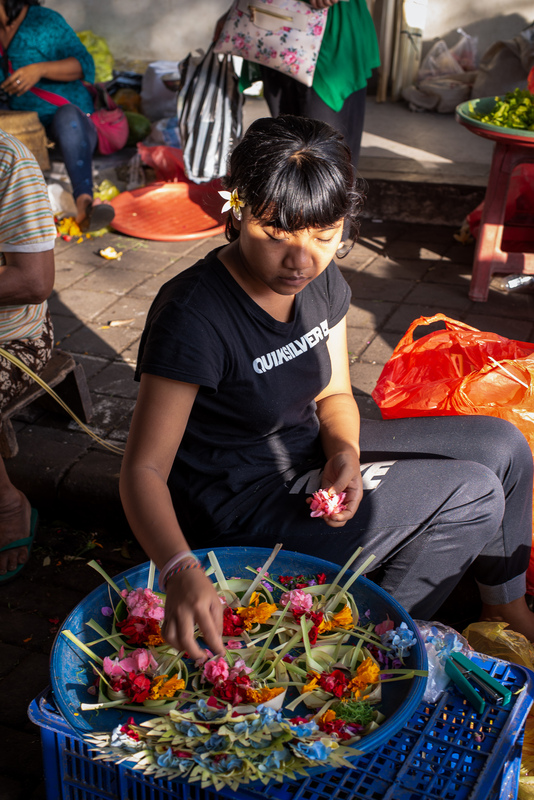 A Balinese family makes canang sari offerings for in the early morning light at Pasar Ubud, Bali. 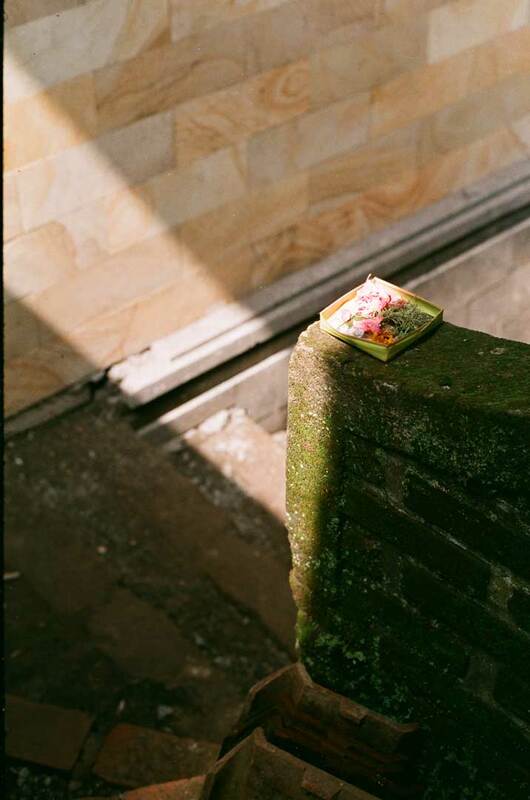 The simplicity of a Balinese offering on 35 mm film. 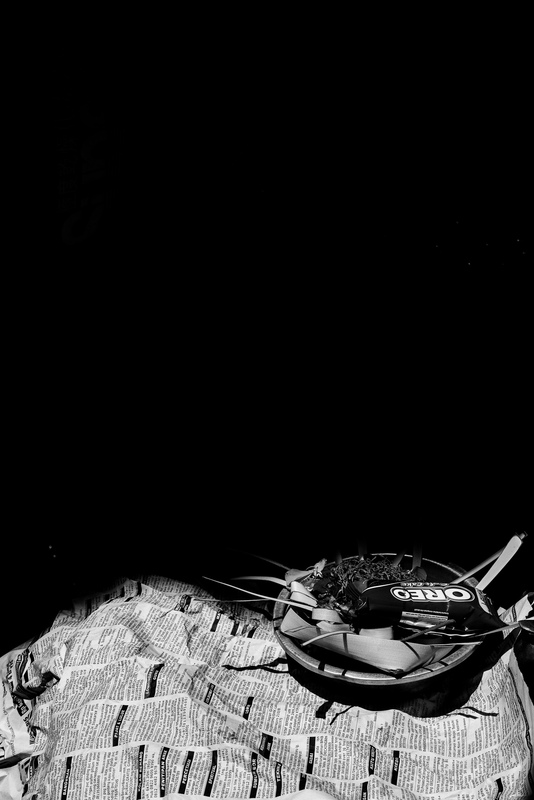 Where there is darkness there is also light.